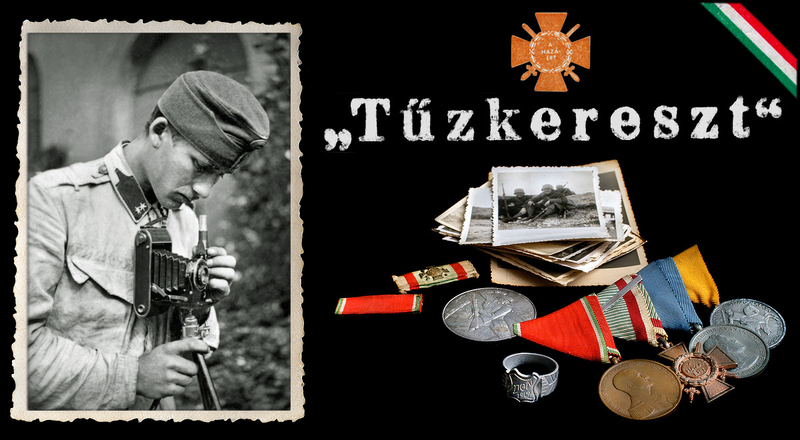 Tűzkereszt History: The story about József Krieg. 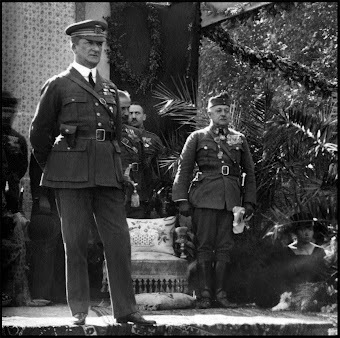 The story about József Krieg. 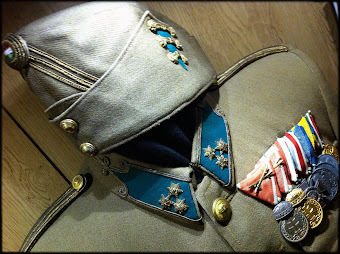 I got a question recently from one of my blog readers, asking me for help to find out about the fate of his wife's great-grandfather, József Krieg. 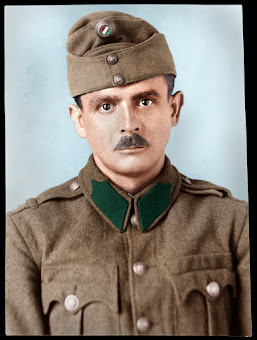 József were conscripted or maybe volunteered in to the Austro-Hungarian army at the beginning of WW1, and fell in battle at the Serbian front. I knew that almost hundred years had passed since József Krieg were in the army, and little may remain to find after all these years. 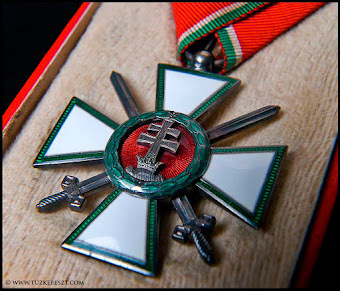 As an amateur Hungarian military historian and a collector, I knew were to look and were to begin my search. 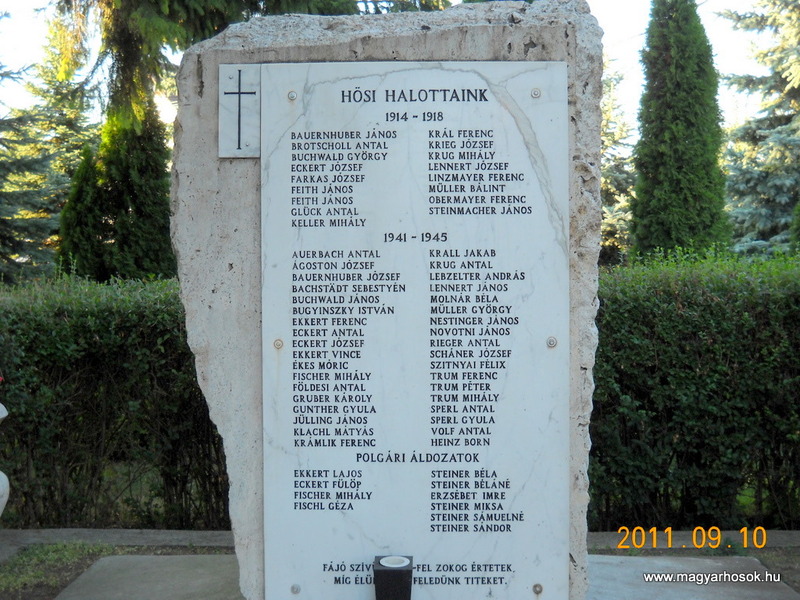 Most Hungarian cities and smaller communities were all affected by the wars in the 20th century, and many war memorial were erected after WW1, and much later also for the soldiers of WW2. Since József Krieg were conscripted and killed on foreign soil down in Serbia, his grave might not be able to find. Usually conscripted soldiers found their final resting place in makeshift military graves near the battlefield. The name lists of conscripted soldiers were in most of the cases lost during and after the war, and is almost impossible to find. Since he were a native Herend resident, I started to look for a WW1 memorial in his home-town. 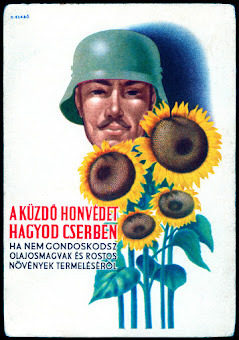 A quick Google search on war memorials in Herend brought me to the "Magyar Hősök"(Hungarian Heroes) web-page, dedicated to old war memorials. József Krieg's name were indeed among the fallen soldiers in WW1 from Herend. He may not have a grave to visit, but his name is engraved on the memorial, and will live as long as there are people interested in the history of ancient relatives. And thank to our available technique, we can visit the place in front of the city hall in Herend and look at the place without moving away from the computer. This story is published with the kind permission of my blog reader Ken.